Plaça de Catalunya is one of Barcelona’s most beautiful and stunning plazas, located within an easy reach of many popular sights and attractions. Large, airy, and open, there’s a true metropolitan feel here, and there is plenty for visitors to see and do in and around the square. Perhaps one of the most fascinating aspects of Plaça de Catalunya is that it acts as the meeting place of the two different sides of the city: Old Barcelona and New Barcelona. To the south of the plaza, you’ll find the historic district of El Gotico (the Gothic Quarter), while to the north you’ll find the more modern, 19th-century neighbourhood of L’Eixample. Ultimately, Plaça de Catalunya is a great place for seeing just how diverse Barcelona really is. In addition to a whole host of intricate mosaics, there’s a great deal of jaw-dropping Catalan art dotted around the plaza. 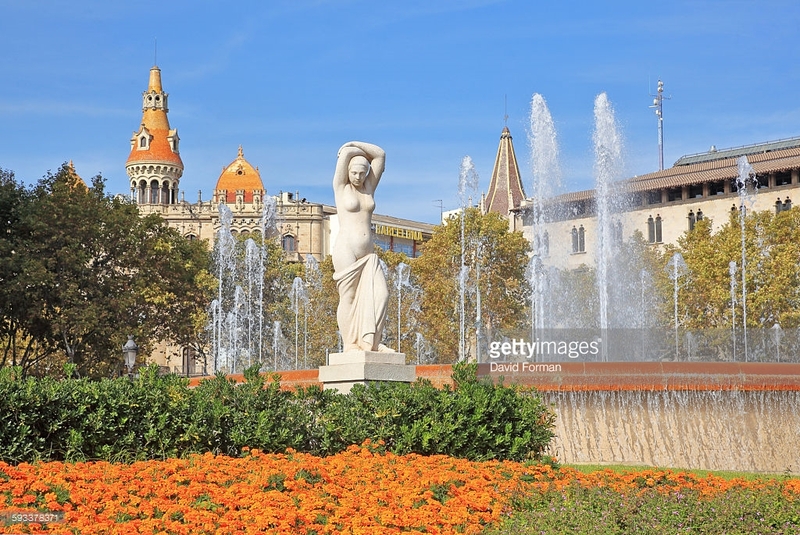 By simply strolling around the square, you’ll find statues by famed Catalan sculptor Josep Clarà i Ayats, and renowned Spanish painter Pablo Emilio Gargallo. Perhaps one of the best things to do at Plaça de Catalunya is simply soak up the atmosphere. This is considered to be the main meeting point in the city; a place for socialising and celebrating. Its central location means it’s easy to get to on foot or by bus or train, no matter where your Barcelona holiday rental is.